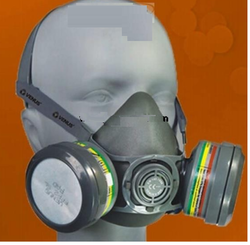 We hold expertise in manufacturing and supplying a large variety of Safety Masks, which are fabricated using best grade raw materials. 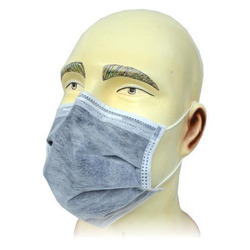 Our well tested range includes Hand Screen for Welding, Yellow Hospital Mask, Green Cotton Mask, Fiber Mask and Doctors Mask. In order to meet clients’ diverse requirements, we offer customization facility also. 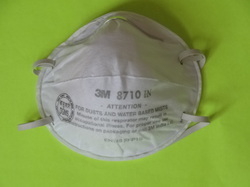 We offer Disposable Masks. These are available to us in a compendious range in 2 and 3 ply along with the Ear Loop.This Mask is ISI Approved. 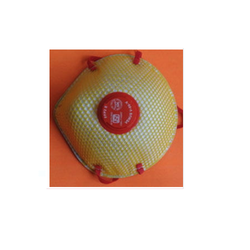 We are leading supplier of Magnum make Weldo Guard Exhale Face Mask. Ergonomically Shaped for comfort and ease of use. 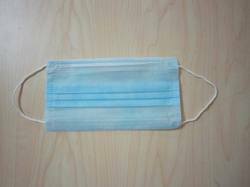 We manufacture and supply a large array of high-quality Surgical mask Surgical Mask in industry. These masks are made in such a manner that they meet industry and clients’ requirements sufficiently. Our masks are designed to provide protection from viruses and harmful bacteria that enter by mouth and nose passage. These masks are known for their comforts, skin-friendliness, and expansive applications. 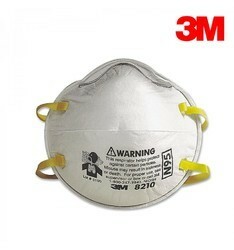 We offer 3M Mask to our valuable customer and our product is made of good quality. Supported by a team of diligent professionals, we have been capable of offering an exquisite gamut of Active Carbon Mask to our valued clients. Apart from this, we are providing these products at nominal market prices. Modern ultrasonic welding technology forms composite filter without needle holes. Outer cover web sheds minimum lint. -Solids particles & non oil based Liquids particles from sprays - tested for mean particle size of 0.6 microns. Liquids or oil based particles - tested for mean particle size 0.4 micron. Nuisance level organic vapor for removal of odours. 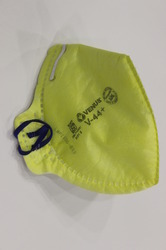 This cup shaped disposable particulate respirator is designed to help provide comfortable, reliable worker respiratory protection against certain non-oil based particles. 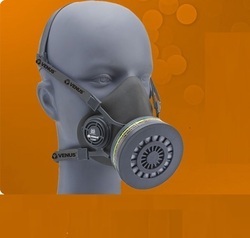 Venus V-20 Mask offered comprises comfortable to use cup style respirator and come approved by Bureau of Indian Standards (BIS) in conformance to IS and other industry standards. Further, these come extensively tested for critical performance requirements as well as feature soft inside layer and coarse dust filter support for effective performance. Light weight easy to handle. Adjustable elastic for secure fit. 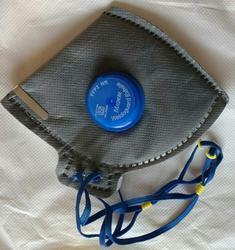 Face-piece is a breathing protection device, operating along with replaceable filter.Gas filters shall be replaced when the user begins to sense odour, taste or irritation. 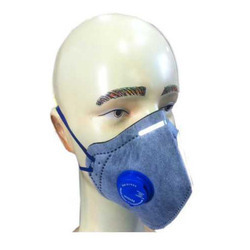 This range of respiratory protection tools is made of comfortable and non-allergic materials which are further enabled with Textile Braided double elastic head bands stitched outside filter area to prevent leakage. Solids particles & non oil based Liquids particles from sprays - tested for mean particle size of 0.6 microns. Liquids or oil based particles - tested for mean particle size 0.4 micron. Nuisance level organic vapor for removal of odours. 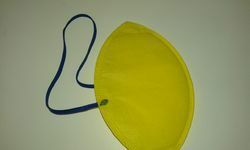 Cup Style filtering face piece produced substantially of filter media to fit on the face covering the nose and mouth comfortably so that fine particles does not enter from the edges. Large surface area to suit breathing comfort and high protection. 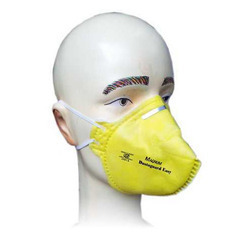 Being one of the trusted manufacturers and suppliers in the industry, we are engaged in providing an extensive array of Hospital Mask. Our range is fabricated using supreme quality fabrics and technologically advanced machinery tools. We have designed our range of different hospital applications. Clients can avail our exclusive range in varied specifications and at most affordable rates in the market. Its non-allergic, soft & odorless soft TPE (Thermoplastic Elastomer) material. EN140:1999 approved. Pull type strong adjustable elastic with head support for weight balance. One way exhalation vent valve and sweat port in the face piece. Suitable to us along with V-800 dual chemical filter series. 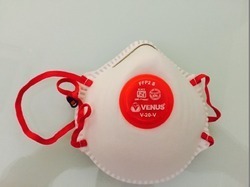 We offer Cotton Mask to our valuable customer and our product is made of good quality. These respiratory systems is designed with metal nose clips which provide high strength and diverse fit to the noses. The edges of these masks are welded with low spillage of carbon which provide tight fitting on the face of the wearers. The use of granular activated carbon gives more surface area and excellent adsorbent capacity. Mainly used for protection against organic vapors and paint fumes. • Comfort Fold Flat style, light weight, and large surface area. o Speech communication possible. Suits long duration wear. • Modern ultrasonic welding technology forms composite filter without needle holes. o Inner layer soft & low lint for skin comfort. o Sewn does not snap / break, no metal fasteners. • High strength nose clip gives desired fit. 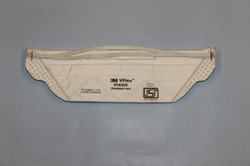 We offer 3M V-Flex Mask to our valuable customer and our product is made of good quality. Oneway Exhalation valve for easy breathing.